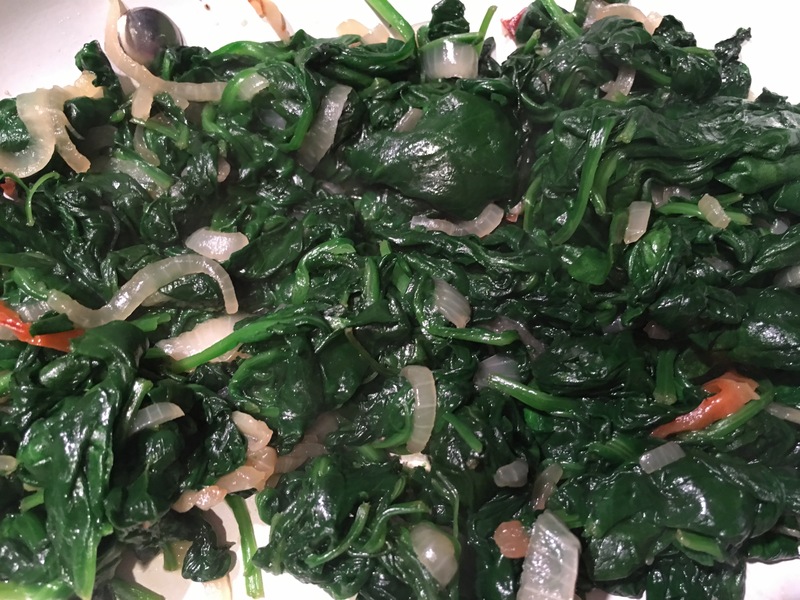 Black eyed peas and sautéed spinach side dishes – Hurried Home Chef! 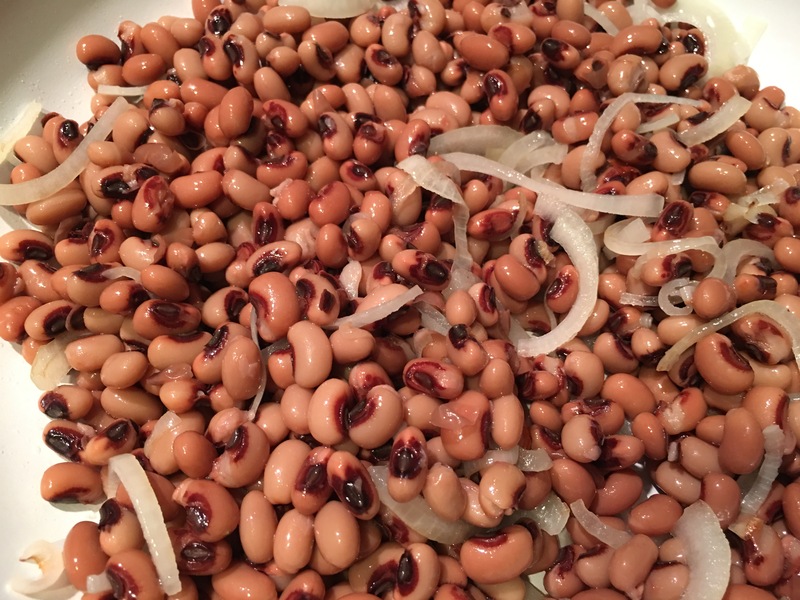 Black eyed peas are usually cooked with some sort of pork delights, but I prefer a lower cal option. I use the canned ones, rinse and drain. 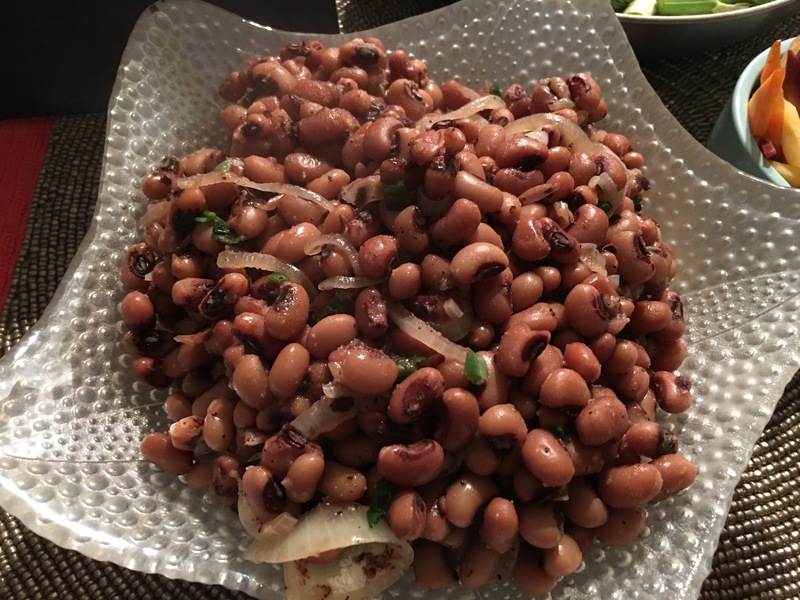 A simple sauté makes this a spicy side dish that can go with many main courses. A medium onion is sautéed with about 1/6th of a habanero pepper, and EVOO or coconut oil. Here I used 2 cans, give it a stir. Add a bit of water or stock to prevent sticking. Add seasonings, I like a bit of garlic powder, roasted ground cumin, a dash of curry powder if you like, and salt/pepper. Top with some green onions! 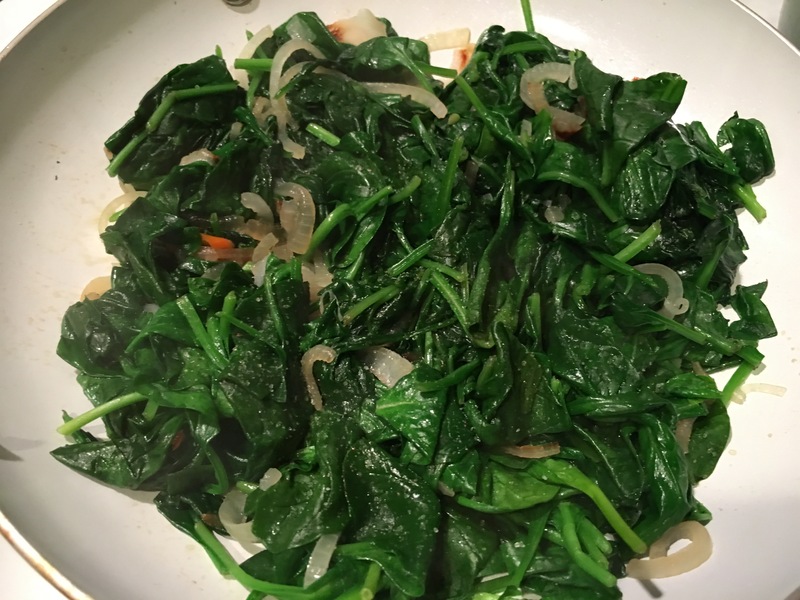 The spinach dish starts the same way. 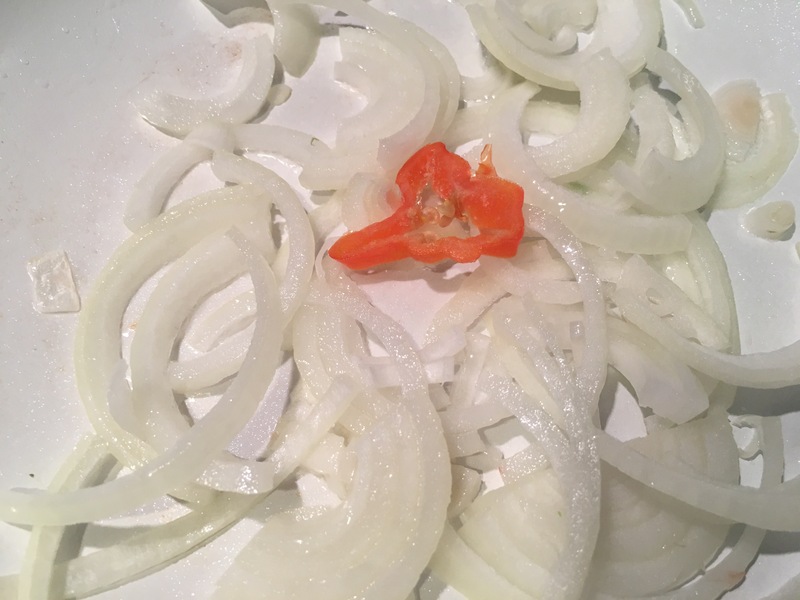 Onion and about 1/8th of a habanero. 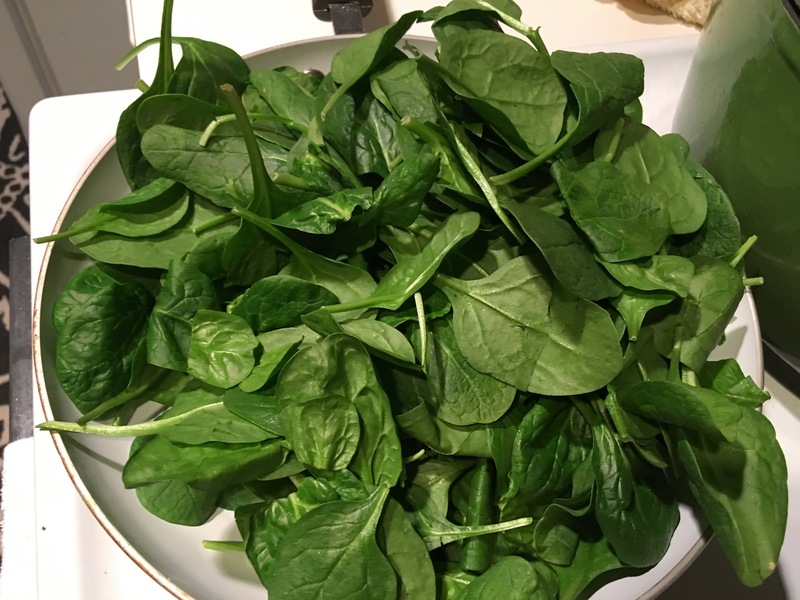 Add some raw spinach. The bags of baby spinach were on sale, so I used that. I used a pan too small, so I let it wilt down then added the second bag. Cook down and let water evaporate. You should add some salt, and I love to add ground or pressed fresh garlic. 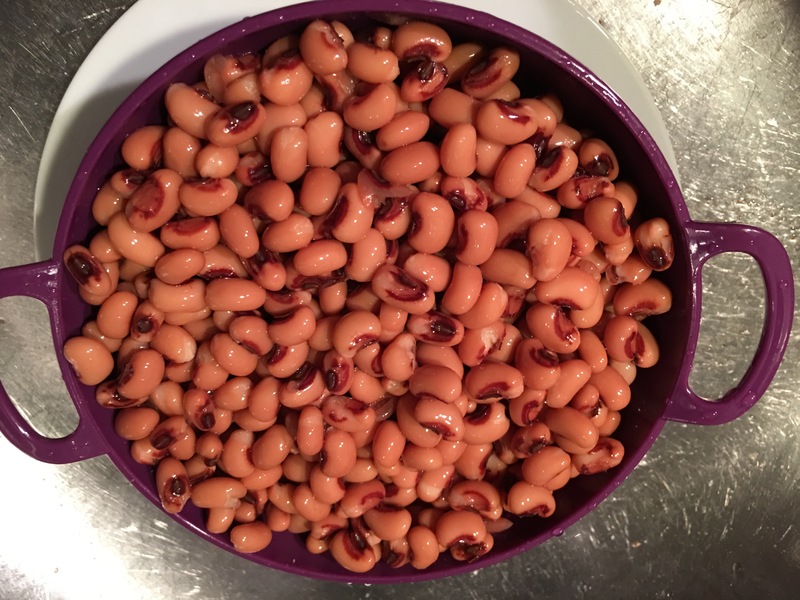 This is also a great side dish that can go with many things. This is a staple with Dahl and rice or any curry dishes. It actually goes well with Italian dishes also, you can use this as a filling in a lasagna as well!